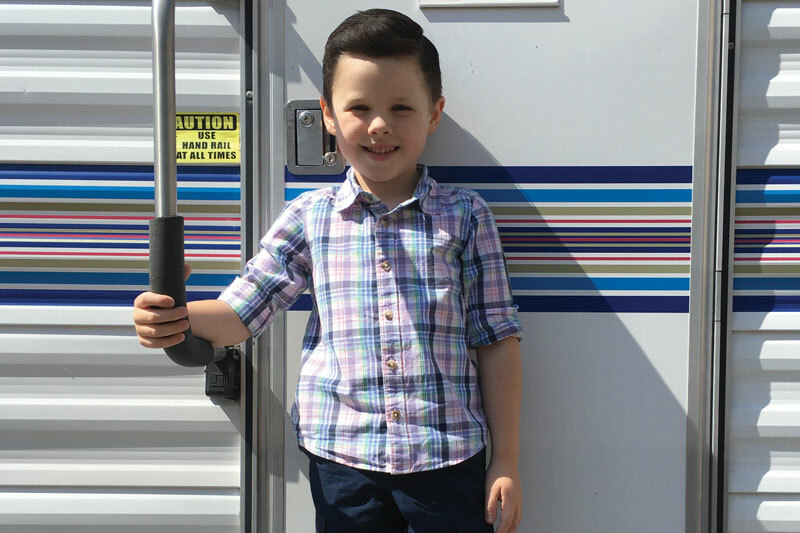 Parker was cast for a two-episode arc in which he played a 5-year-old version of Sheldon. Mom Tiffany Greenwood said she and husband Shannon Dailey originally hired an agent to get modeling gigs for their son after several people suggested the idea. Greenwood and her husband, who have lived in Scripps Ranch for 10 years, said they didn’t go to the audition in Los Angeles. “We actually didn’t go to the audition because it was the first day of school,” Greenwood said. Instead, they sent the show’s casting directors a homemade audition of Parker. 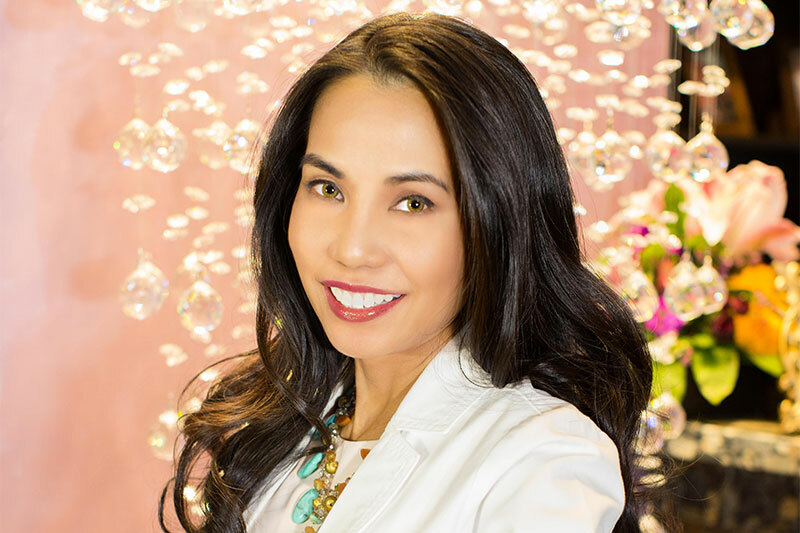 Neither Greenwood nor her husband have worked in the entertainment industry and Greenwood described being on set as surreal. “It was interesting to see the sets and how they film it,” Greenwood said, adding how proud she was of her son after seeing his performance with the other actors. 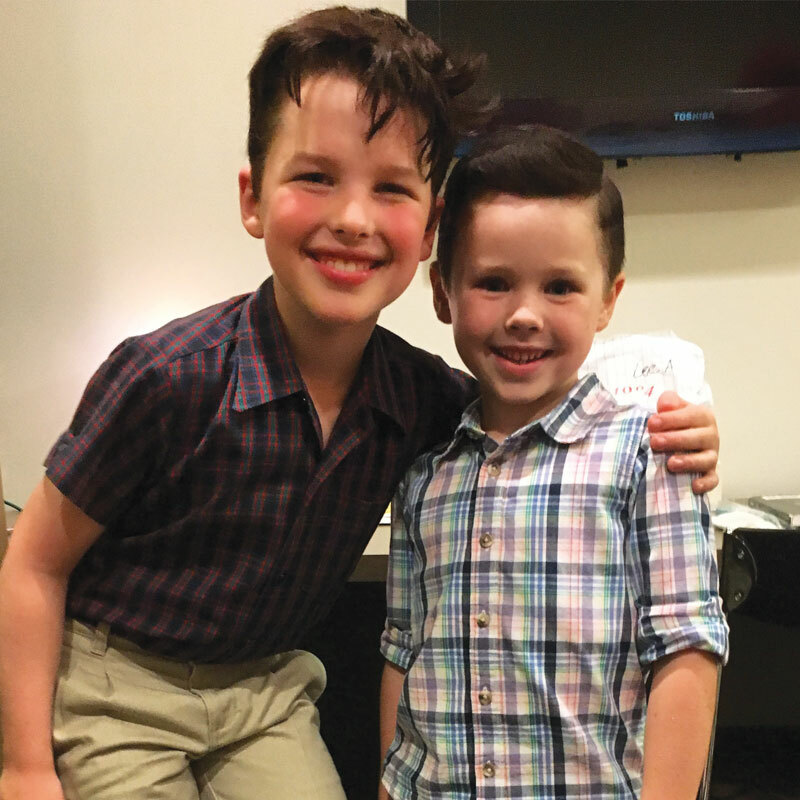 “Seeing (Parker) perform and take direction and being very mature and professional was great,” Greenwood said. As for Parker, Greenwood said he’s really enjoying performing and he has been enrolled in acting classes. The commute from San Diego to Los Angeles, however, has proven a bit of a challenge for the family. 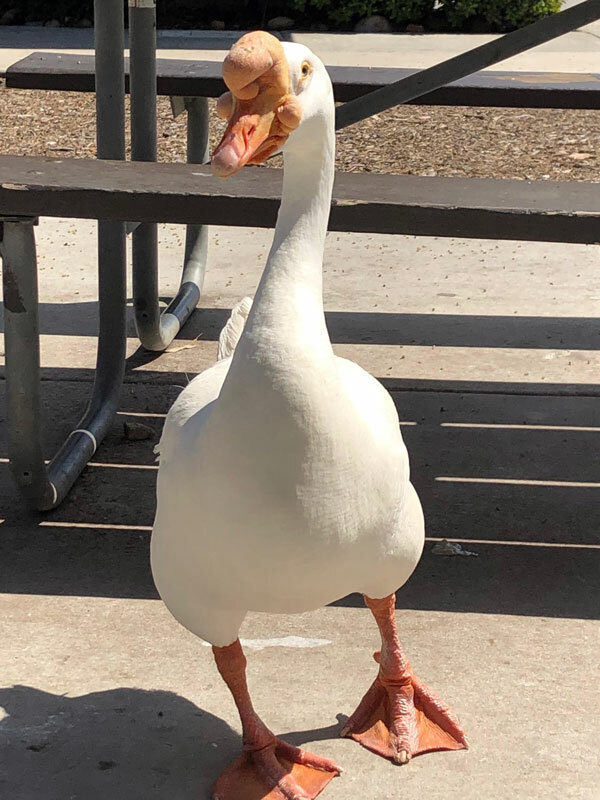 Greenwood works part time as a geneticist at UC San Diego and Dailey is a federal law enforcement agent, but they make it work. Greenwood said her family doesn’t have immediate plans to move to Los Angeles for now, but added that might change if Parker lands a more permanent role in a television series. 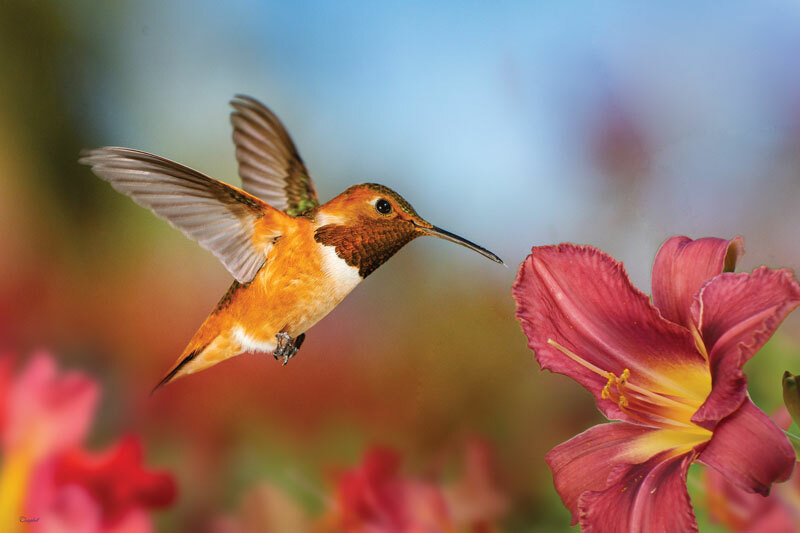 In addition to geology studies and continued photographic pursuits during college, eventual Scripps Ranch resident and professional photographer Michael Campbell competed as a high jumper in Britain. He once held the British junior and senior record in the high jump, participated in the 1965 World Student Games and was on track to join the British team for the 1968 Olympics when a car accident injured his hip. The injury forced him to miss the Olympics, but he would return to jump for Britain in international competitions in the mid-1970s. 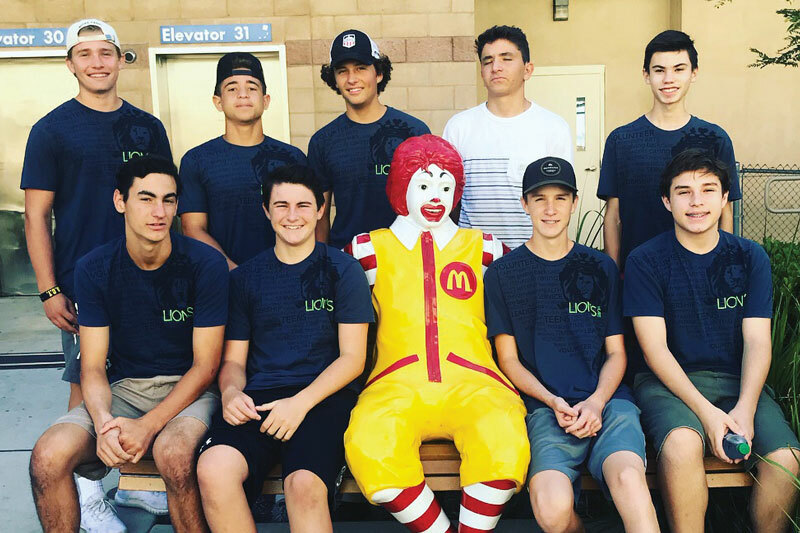 Years later, Campbell passed on his high-flying expertise as a volunteer high jump coach for Scripps Ranch High School’s (SRHS) track team when his son, Alex, attended. His son followed in his father’s athletic success, setting a high jump record while at SRHS. Earlier, while teaching at Salisbury College, Campbell bought an old school nearby that he converted into a house that he lived in for eight years. He got to know the home’s previous owner, Antony Eden, who was Prime Minister Winston Churchill’s foreign secretary and became prime minister of England himself in 1955. 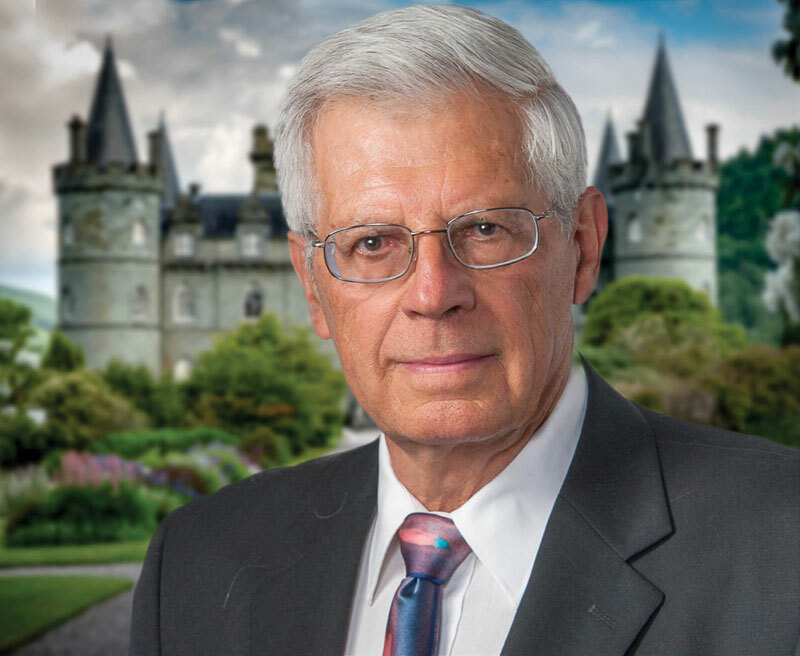 When Eden needed a cover photo for his memoirs, he asked Campbell to shoot it. Up to that time, Campbell had only done landscapes and other non-portrait photos. He built a set, then practiced for two weeks before the photo shoot. “That was my first portrait: the ex-prime minister of Britain,” Campbell recalled. 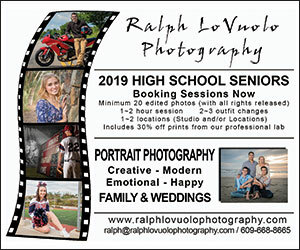 One of his side jobs at the time was printing black and white negatives for Cecil Beaton, the Oscar-winning clothing designer for the movie “My Fair Lady.” This included shots of Marilyn Monroe, Marlena Dietrich and Katherine Hepburn. When Beaton saw Campbell’s portrait of Eden, Beaton, then chairman of the Salisbury Art Festival, told him he wanted to do a one-person show of his work. When Campbell confessed that he only had the one portrait, Beaton told him to do another 35 for the show. 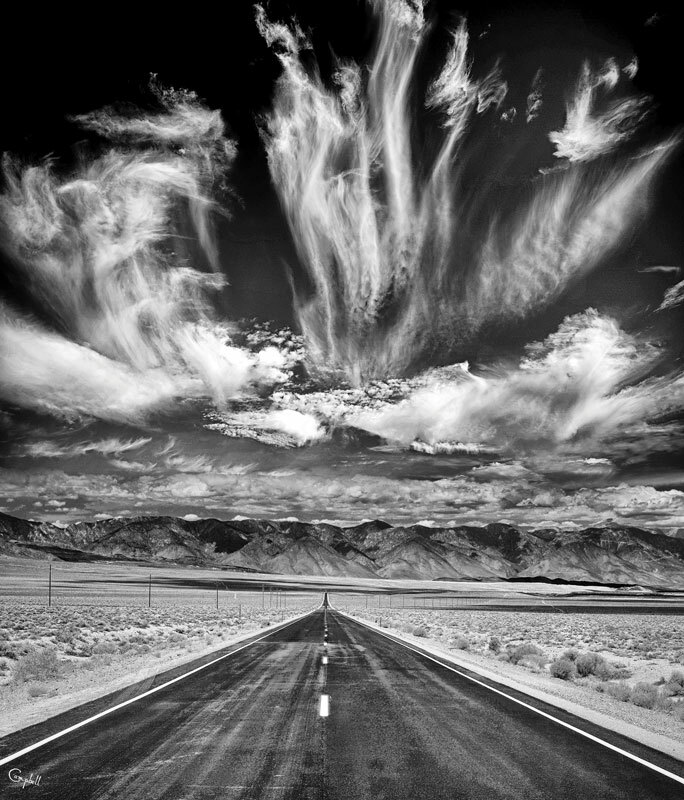 In 1968, Campbell got to meet and work with one of his heroes, noted landscape photographer Paul Caponigro. Initially turned down to attend a sold-out Caponigro workshop, Campbell sent to Caponigro's office copies of his own versions of shots of Stonehenge, which Caponigro was in the midst of shooting. Campbell was eventually allowed to attend the conference. Since Campbell lived close to the airport, the staff asked him to pick up Caponigro and take care of him before the workshop. Campbell came to America to work with Caponigro for what he thought would be one month. He worked with Caponigro on the book and one day overheard the noted photographer talking with another of Campbell’s photography idols, Ansel Adams. When Caponigro told Adams that Campbell wanted to speak to him, Adams said he didn’t have time, but that Campbell could come over to his place if he’d like. “I didn’t realize he lived 2,000 miles away,” Campbell laughed. So, Campbell made his way west. Along the way, he followed a friend’s advice and stopped in Pasadena to meet noted portrait photographer Philip Charis. Campbell eventually went to work for Charis, sending word back to his father in Britain to sell his car — he wasn’t coming back. Campbell did eventually go to see Adams and ended up staying with Adams for four days, assisting him and writing an article about him for the British Journal of Photography. While working for Charis, Campbell’s work got so good that the Charis’ lab technicians told him they had a hard time distinguishing Campbell’s shots from those of Charis. Campbell soon struck out on his own, establishing his own portrait studio in San Diego. 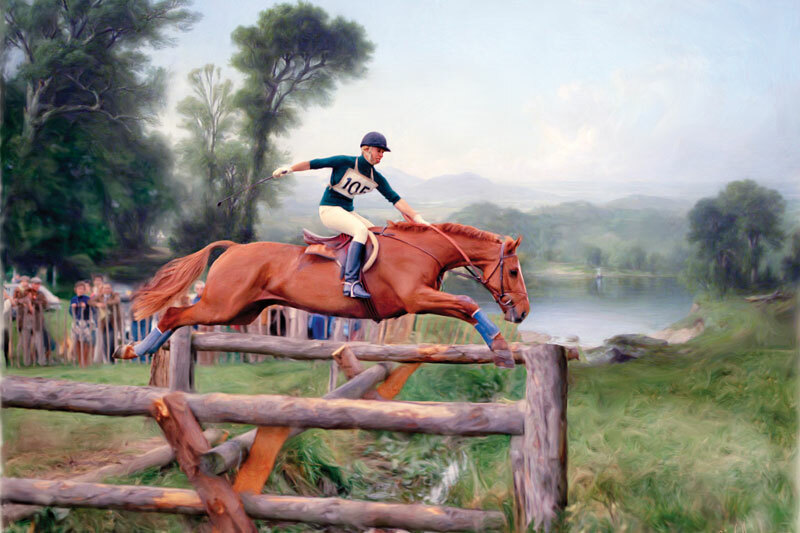 Campbell’s varied portfolio of work includes an image he produced of England’s Princess Anne in an equestrian competition – a portrait the Queen of England reportedly keeps in her bedroom. 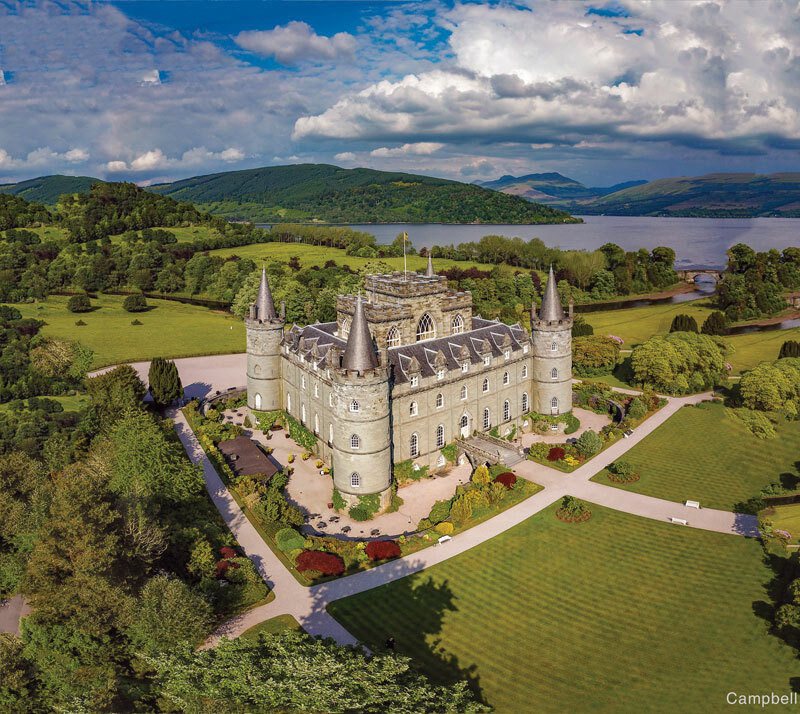 Today, Campbell embraces the world of digital photography, including using tools like drone-mounted cameras, Adobe Photoshop and Corel Paint to help him create and enhance his images. “I got tired of reality years ago, so, I live in a world of fantasy,” he said. 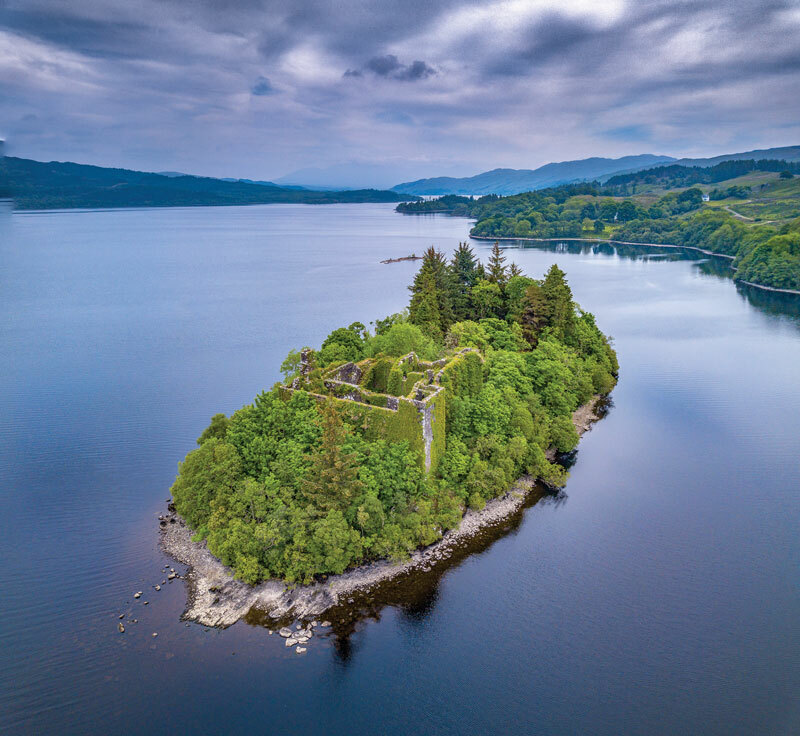 In 2017, he returned to the British Isle of Ilona to photograph castles there both from the ground and from above using drone-mounted cameras. The veteran photographer has no plans to slow down. 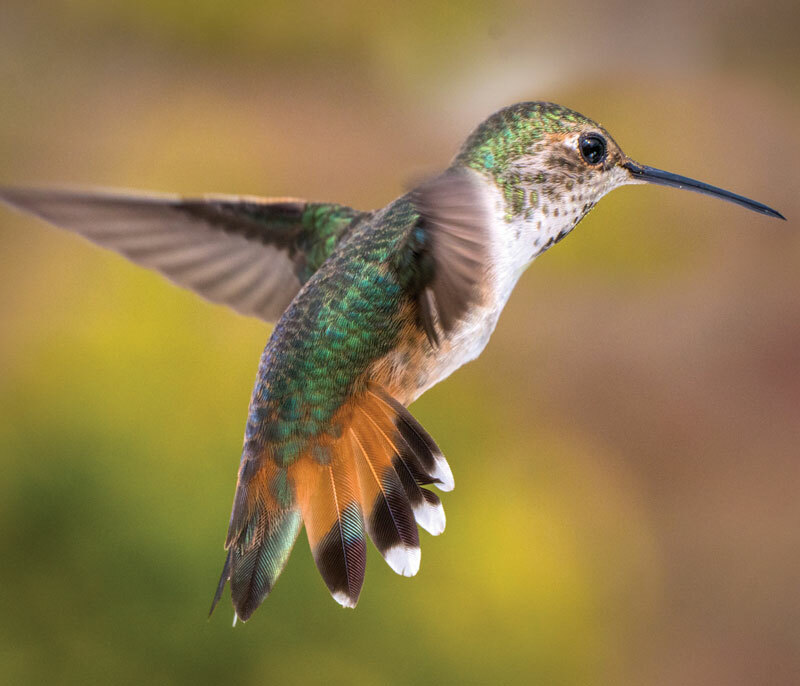 His work today includes professional headshots and real estate photography, as well as other projects like photographing hummingbirds in flight. “I’m not retiring until I’m six feet under,” Campbell stated. This is the last of a two-part series. See part 1 here: http://www.scrippsranchnews.com/family_fun/fullstory.php?ID=1569. She’s a junior at Scripps Ranch High School. 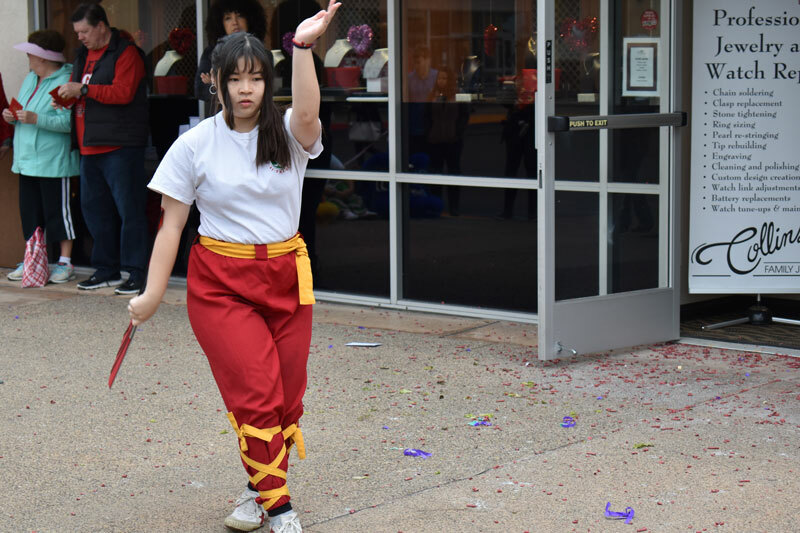 She spends 23 hours a week training as a competitive gymnast, is greatly involved with her local church and enjoys forensic science and art courses at school. Oh, and she’s Miss San Diego’s Outstanding Teen. 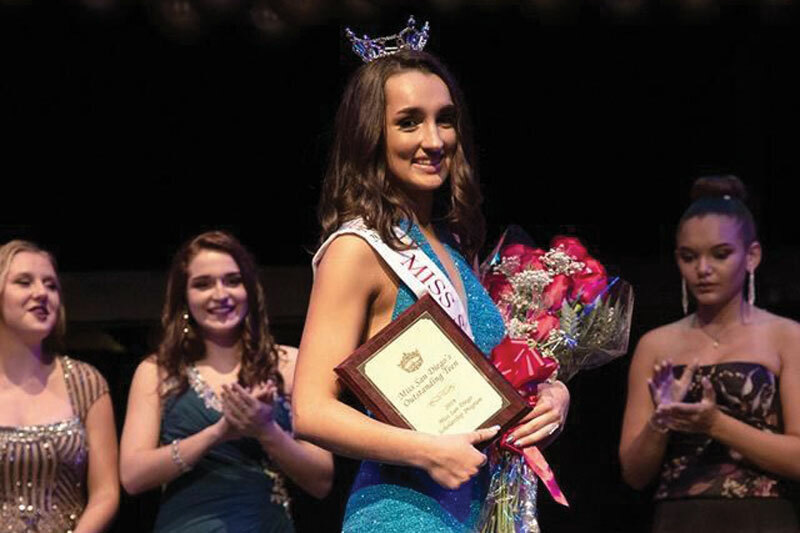 Katherine Chicca, or “Katie” for short, took home the title on Jan. 19 at the 2019 Miss San Diego Competition. The competition required her to display a talent, do a personal interview with the judges, answer an on-stage question and show a certain level of fitness. 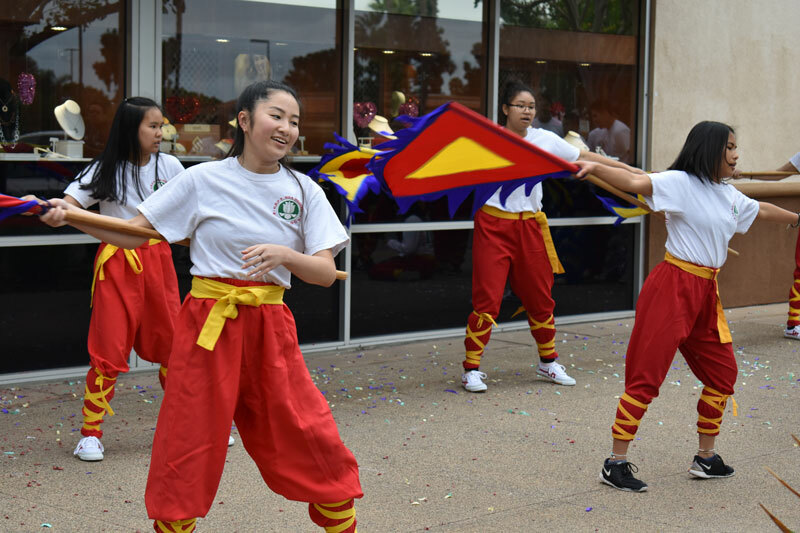 While the competition’s winners are granted scholarship money, their title also includes a responsibility to progress a charity platform throughout the year. For Katie, the cause at hand is the United Nations International Children's Education Fund (UNICEF), an international organization focused on children’s rights. 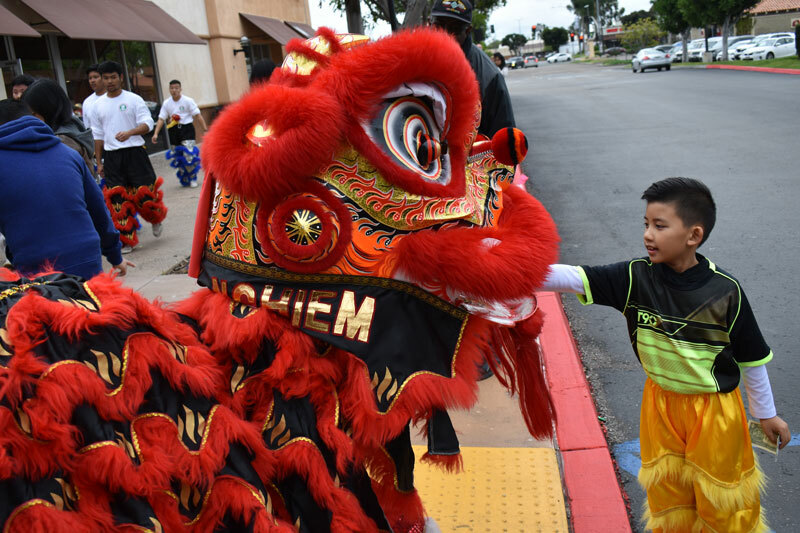 Katie’s mother, Barbara Chicca, said this year-long service commitment will include work with UNICEF as well as contributions to other service efforts in San Diego. A year of service atop the high schooler’s already hectic schedule certainly keeps Katie busy. However, her mom said she’s hardly concerned. As a junior in high school, Katie will be gearing up for graduation soon enough. Her aspirations are big, as she said she is hoping to attend college on the East Coast, possibly in Boston. However, the Miss California competition in June comes much sooner on Katie’s agenda, and preparation is already in full swing. 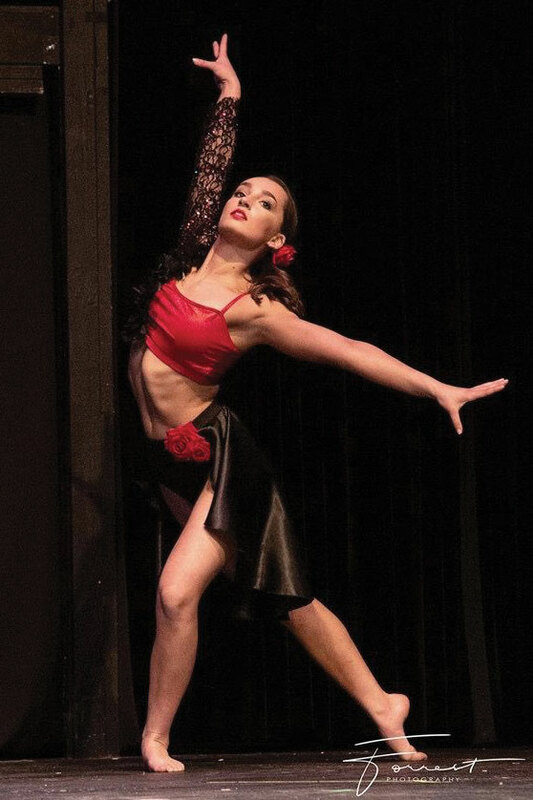 “I’m working with some of my coaches from gymnastics and pageant directors to choreograph a routine to fit the stage at (the state competition) and I’m working on interview practice with other girls who have done pageants,” Katie said. In the meantime, Barbara said she is a proud mom and that she’s happy to keep up with the hustle. “I do a lot of driving,” she joked. 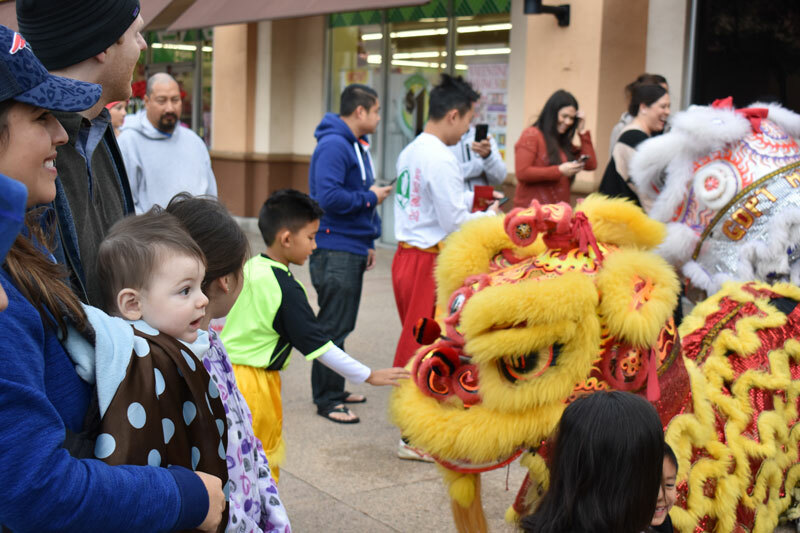 Scripps Ranch residents Bill and Cynthia Collins provided a Chinese New Year celebration for the public at their business, Collins Family Jewelers, 8220-A Mira Mesa Blvd., on Saturday, Feb. 2. 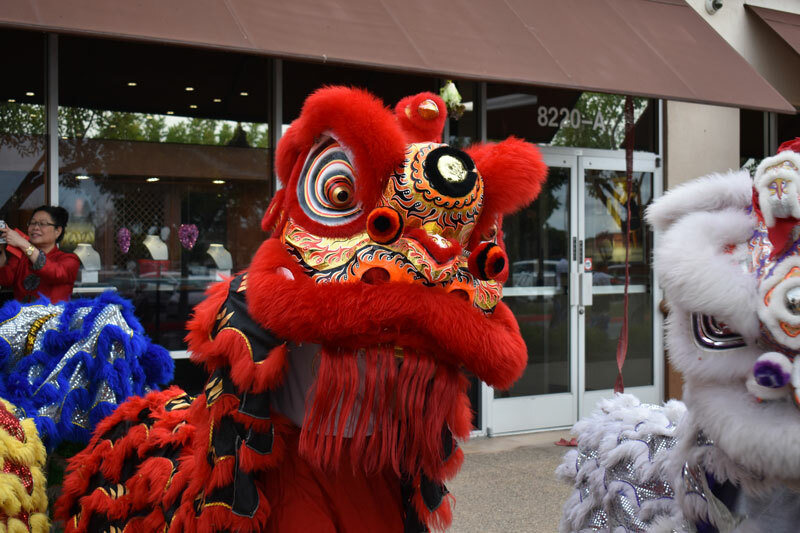 A drumbeat began as performers donned four colorful lion costumes and danced in front of the store and through the enthusiastic crowd. 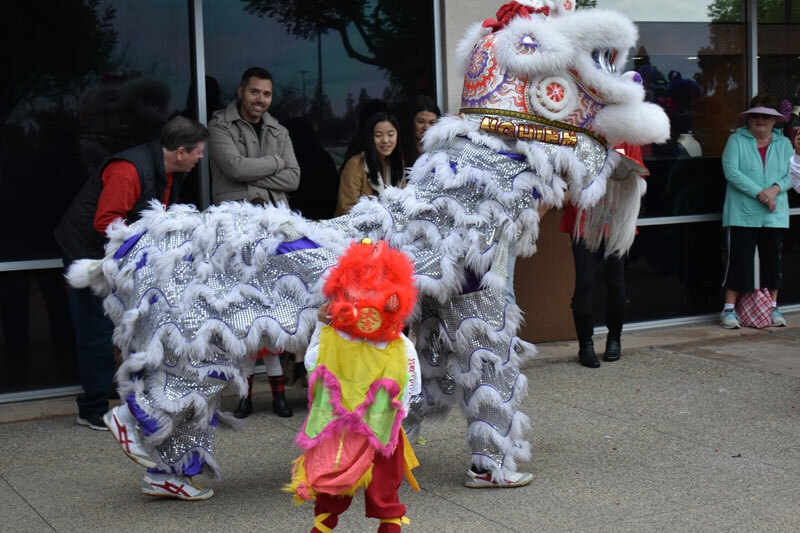 On occasion, the performers within each lion costume climbed on one another’s shoulders to make the lions appear stand up tall, towering above the onlookers. 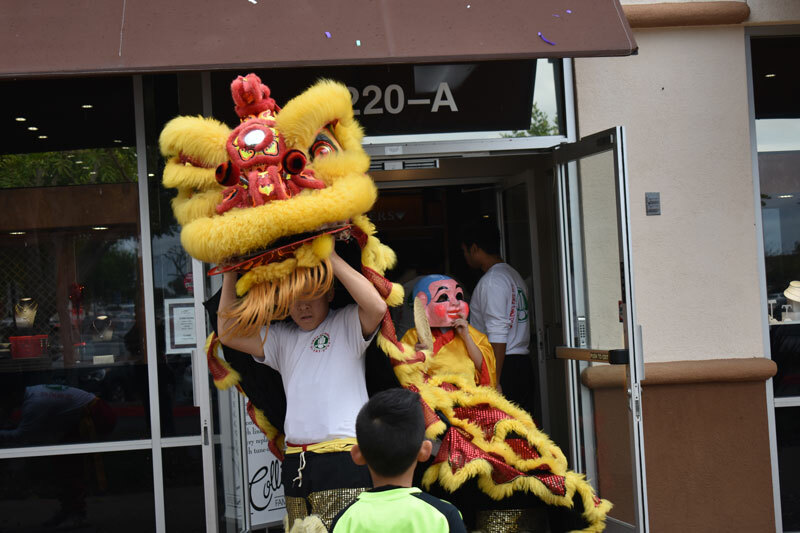 The lions spread a bouquet of flora and confetti in front of the store entrance. 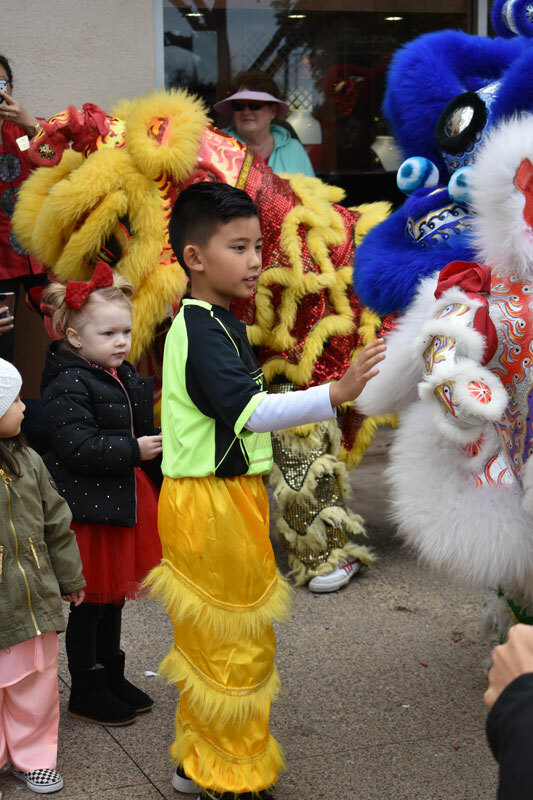 A string of firecrackers popped loudly to ward off the spirits of the previous year and the lions each entered the business to cleanse it for the new year. Then, the performers presented Bill and Cynthia Collins with two banners for their store. 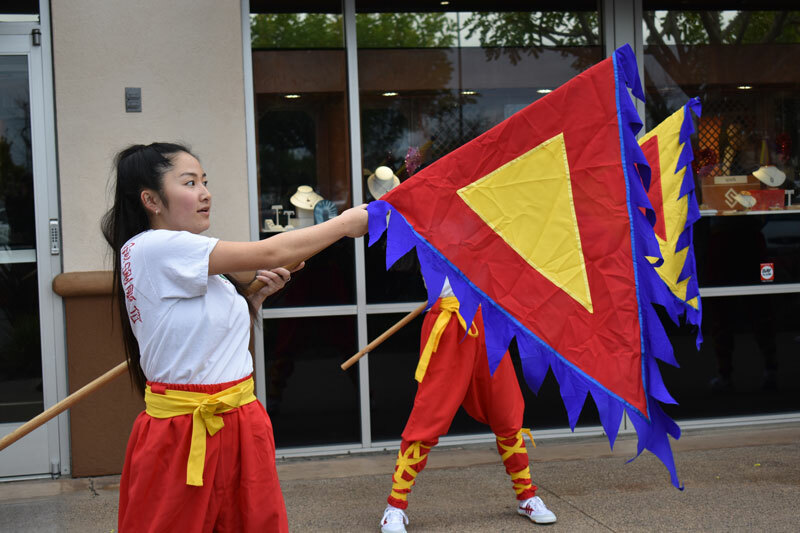 A group of high school students from the GDPT Hoa Nghiem Vietnamese Buddhist school in El Cajon provided the costumes, instruments, banners and traditional fireworks. 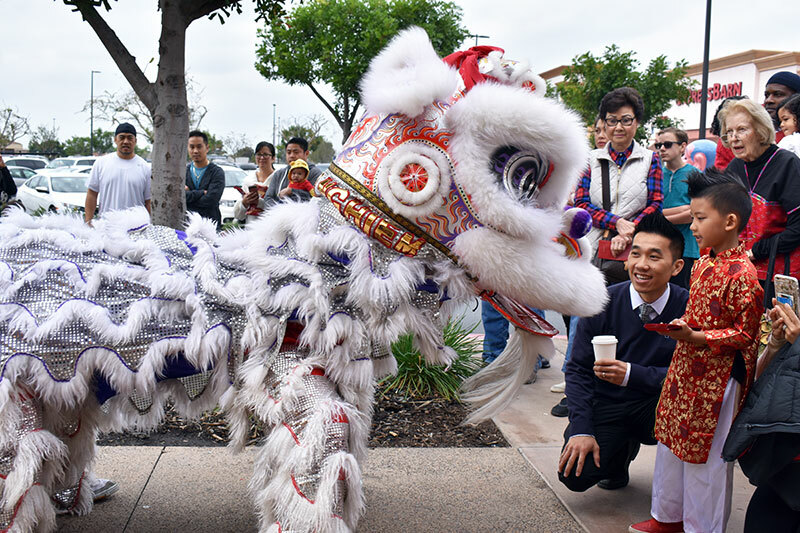 The crowd was given red envelopes in which monetary donations could be stuffed and “fed” to the colorful dancing lions. The donations went toward a scholarship fund for the students at the school. Collins Family Jewelers also provided a generous donation to the fund. 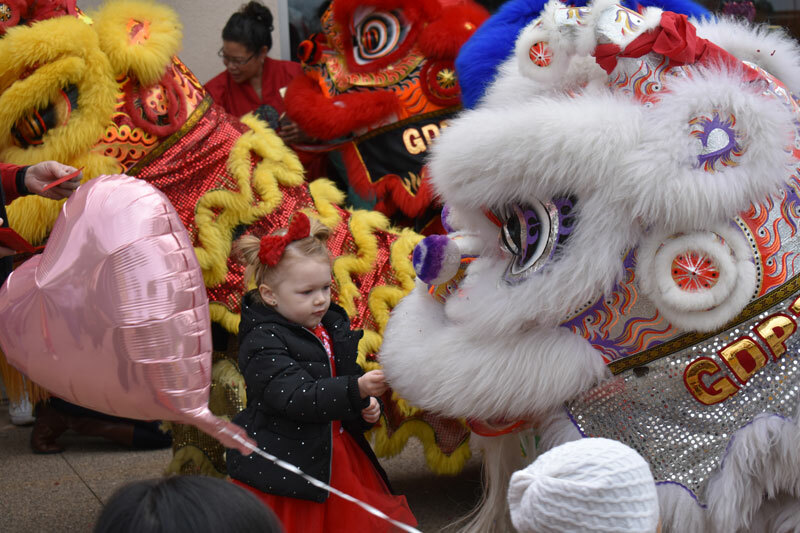 Chinese New Year – or Lunar New year – is actually Tuesday, Feb. 5 this year, but the Collins family scheduled their celebration and ceremony for Feb. 2 on a Saturday so that more people could attend. 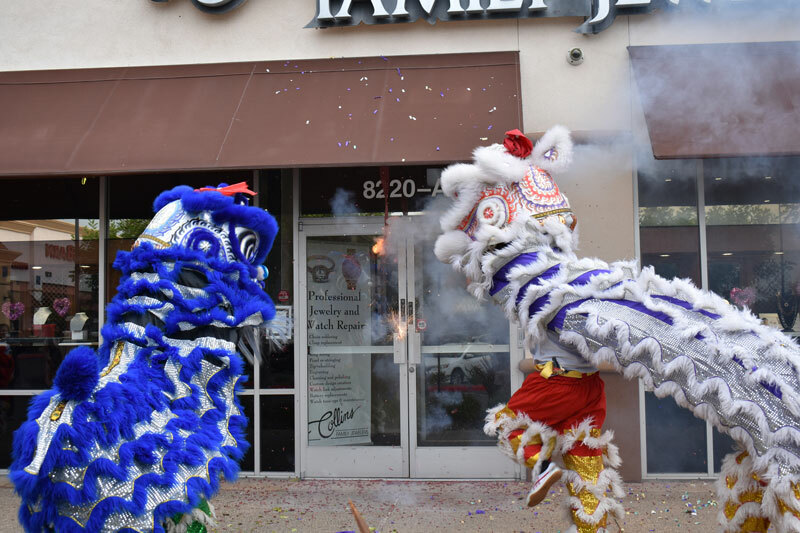 This is the fifth year the family has provided this celebration for the community. 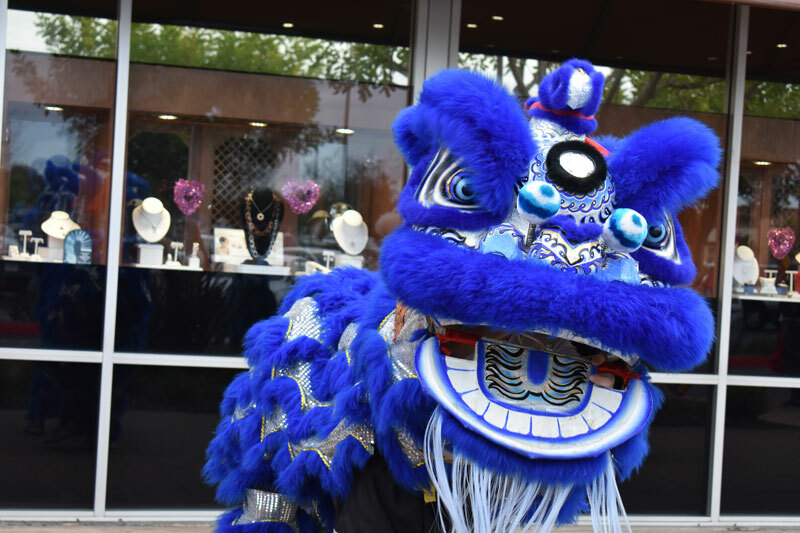 This is the Year of the Pig, the Chinese zodiac sign for both Bill and Cynthia Collins, owners of Collins Family Jewelers. 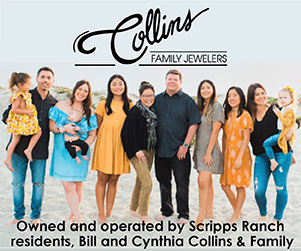 Their jewelry business is very much a family affair for the Collins family, with some of the children working at the store. Bill and Cynthia have five daughters and three grandchildren. 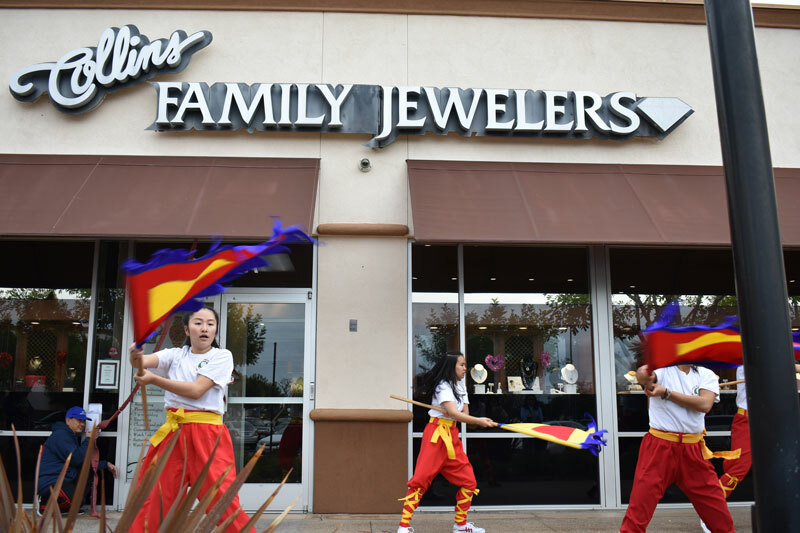 The Collins family of Scripps Ranch will hold a Chinese New Year celebration at their business, Collins Family Jewelers, 8220-A Mira Mesa Blvd., on Saturday, Feb. 2, starting at 9 a.m. The public is invited. 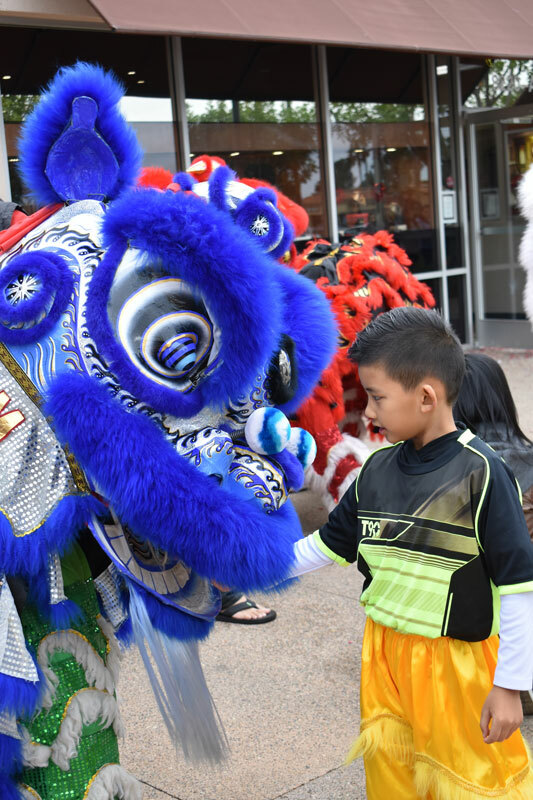 While Chinese New Year is officially Tuesday, Feb. 5 this year, the local Feb. 2 celebration is scheduled on a Saturday so that more people may attend the event. 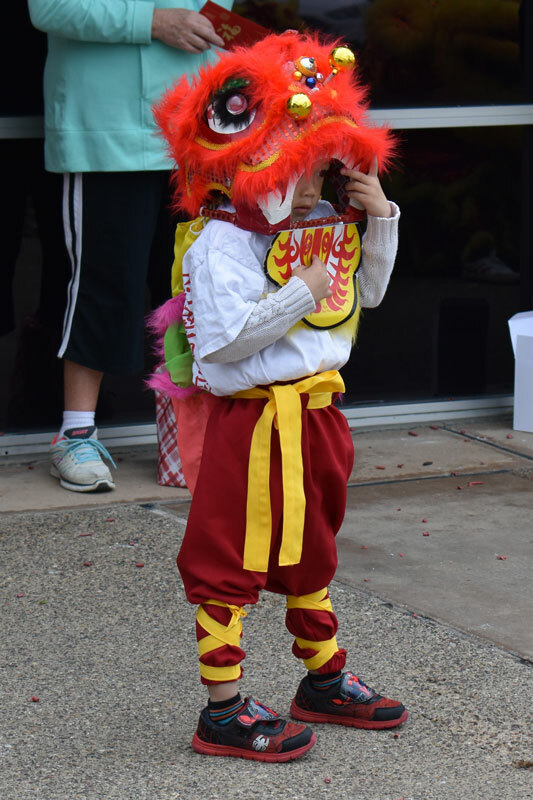 The Collins family provides this celebration annually for the community. 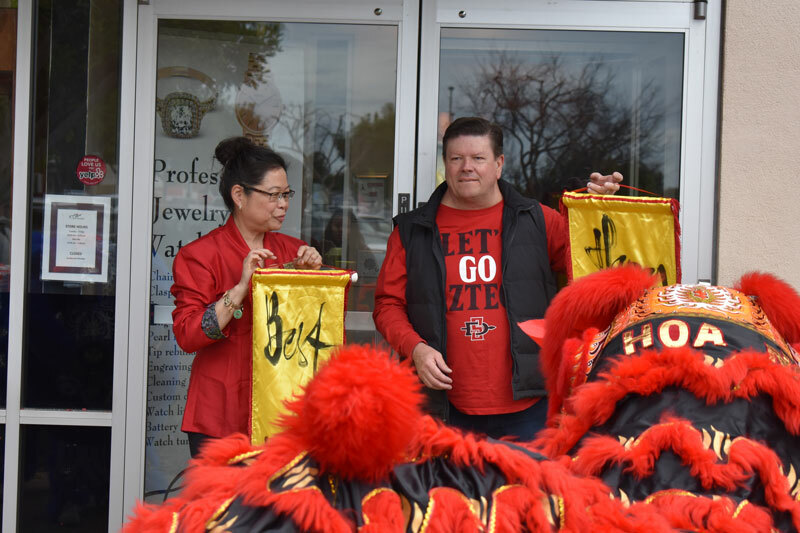 This is the Year of the Pig, the Chinese zodiac sign for both Bill and Cynthia Collins, owners of Collins Family Jewelers. 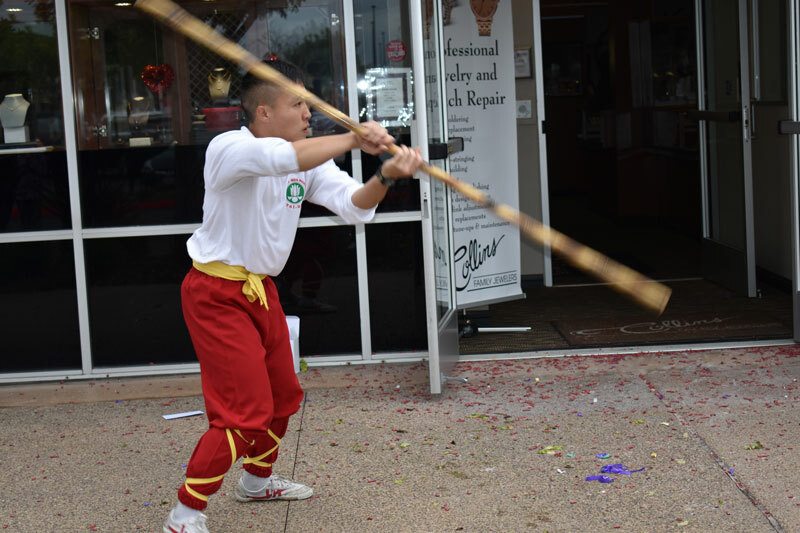 The event will include traditional lion dancing, martial arts demonstrations and firecrackers. 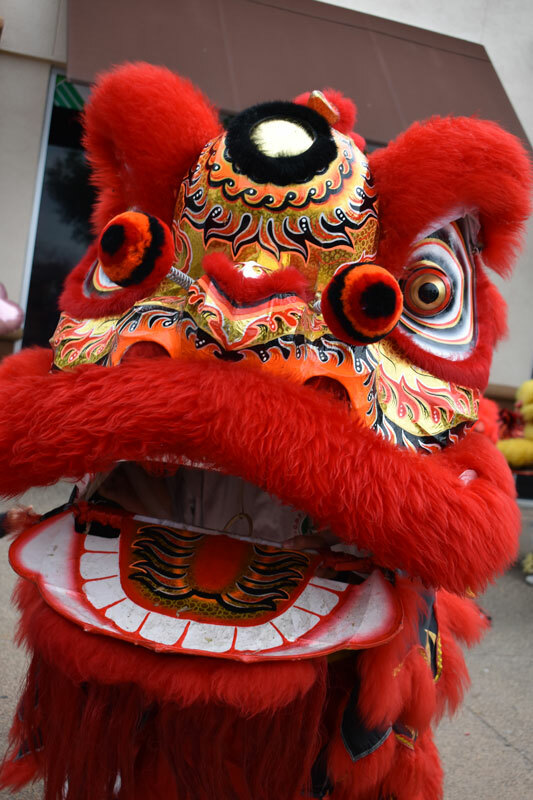 A troupe of high school-aged performers will be inside the lion costumes and others will perform on drums. 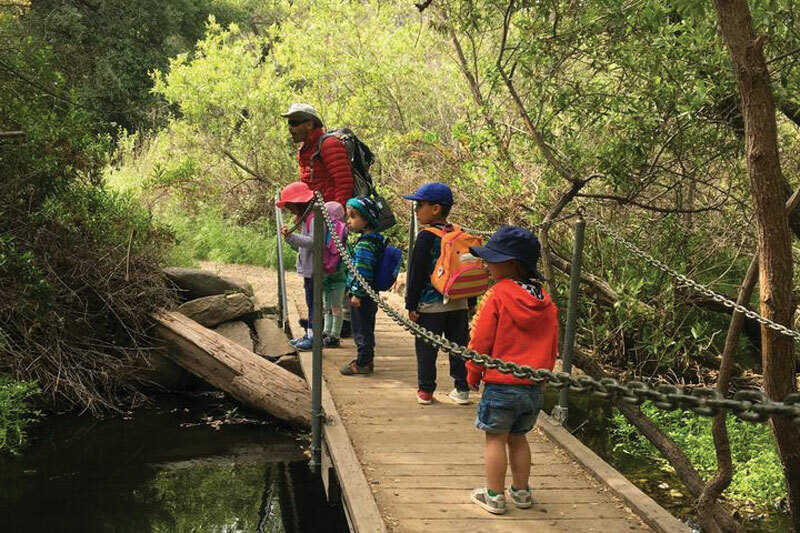 The Scripps Nature Camp may be the solution for parents in Scripps Ranch who find their children seem to be aching for adventure. The idea is based on Scandinavian forest schools, where preschool-aged children spend the bulk of their days outdoors. “Unlike most American preschools, the focus of this type of early education is not to teach academic facts, but to give kids the opportunity to play freely in nature,” according to the Scripps Nature Camp website. The camp, targeted toward 3 to 5-year-olds, brings this notion close to home. 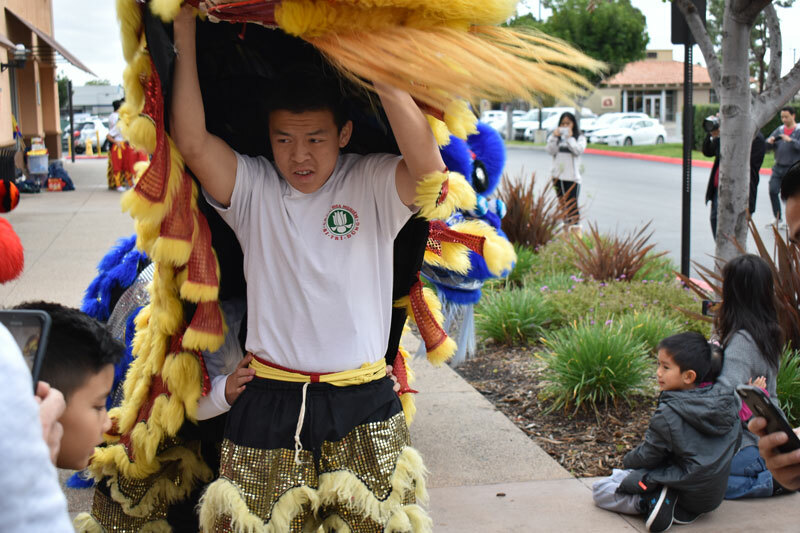 Co-founders Ivan Flores and Pamela Enciso started the camp in Scripps Ranch in hopes of giving children new ways to explore their communities and learn unconventionally. 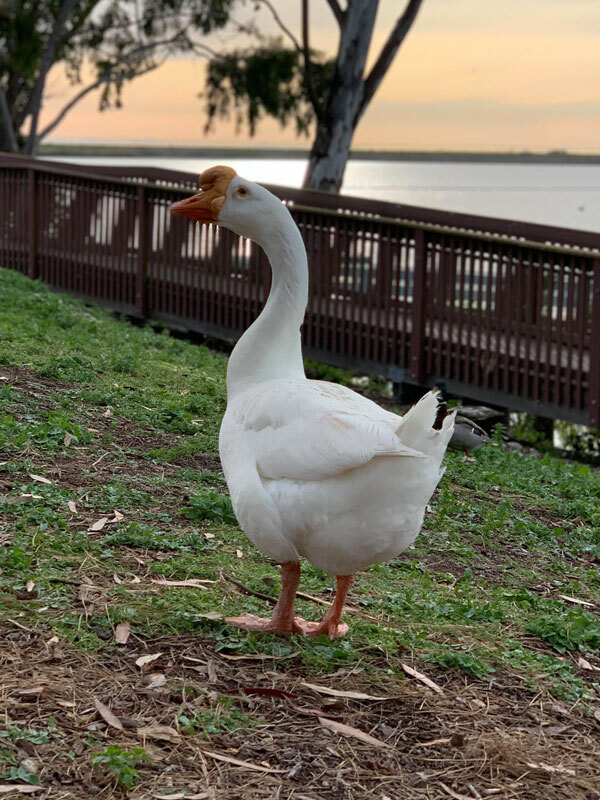 The duo takes children to different locations weekly, with some of their favorite sites being Lake Miramar and the Penasquitos Canyon Preserve. Days out include light hikes, with fun stops along the way. 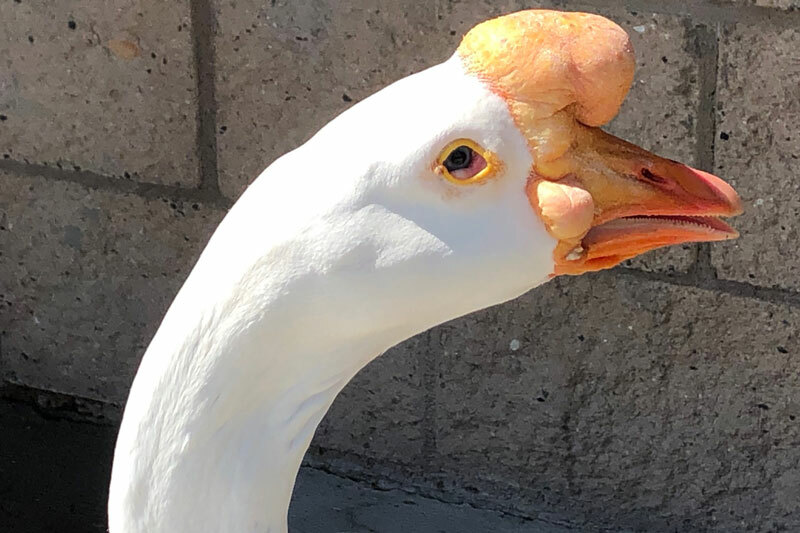 “At Lake Miramar we like feeding the ducks and we’ll bring some vegetables to feed the ducks. We like climbing the trees and we’ll teach the children what (natural fruits) they can eat or can’t eat,” Enciso said. 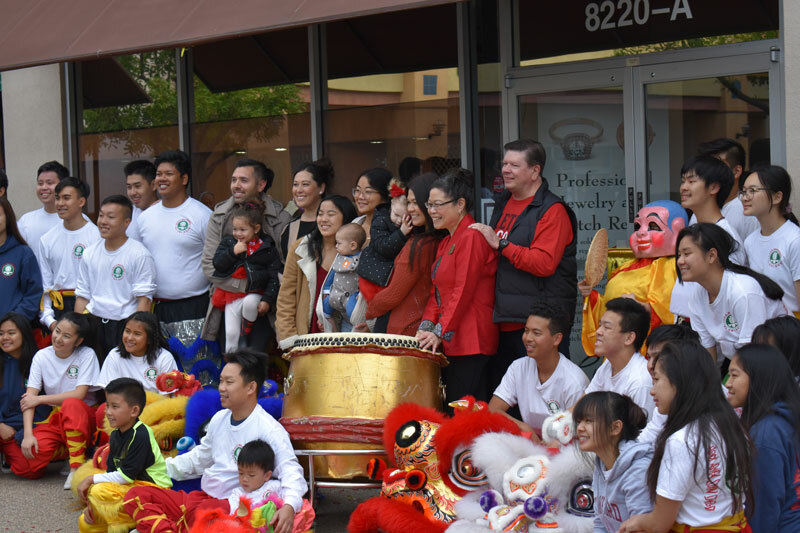 The program also has an emphasis on introducing children to the Spanish language, however children of all cultural backgrounds are encouraged to enroll. While the program does not focus on academics, Enciso said one of the big benefits of the camp is allowing the children to exercise their independence. This shows even in the small things, such as having the kids carry their own backpacks. 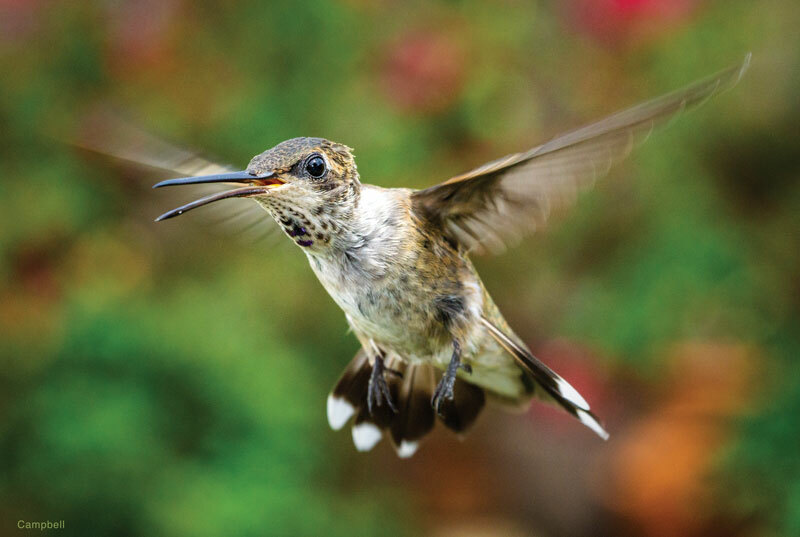 To enroll in the program or learn more information, visit the Scripps Nature Camp website at www.ScrippsNatureCamp.com. 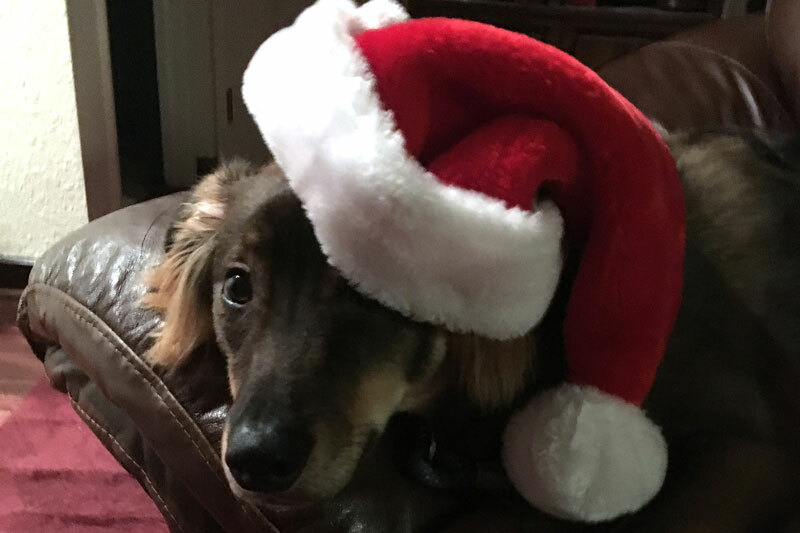 Merry Christmas and happy holiday wishes from Scripps Ranch News. 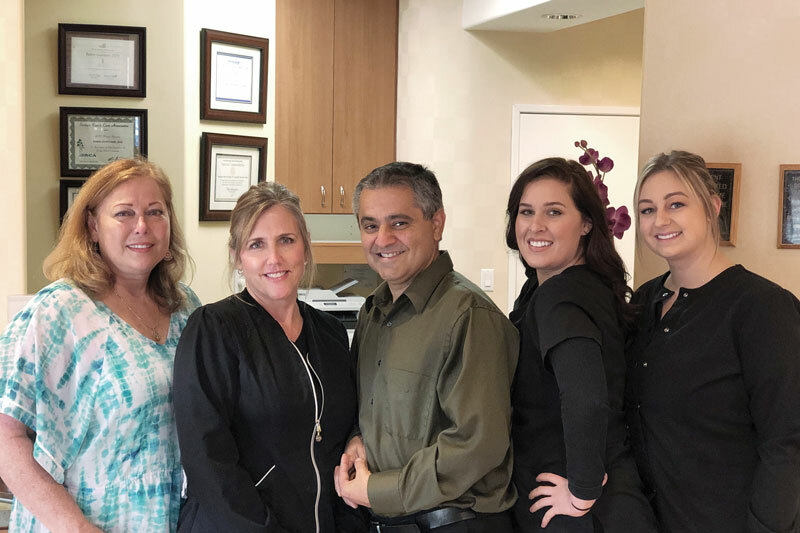 We truly hope that each and every one of you, whether traveling or staying cozy in your Scripps Ranch home, are able to enjoy the holiday season with family and friends. We thank all who have supported us and wished us well. 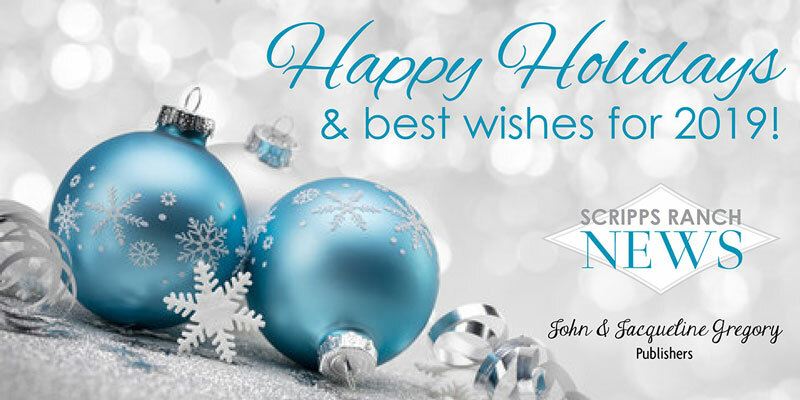 Have a wonderful holiday and a prosperous New Year! The North American Aerospace Defense Command (NORAD) continues its decades-old mission of keeping track of Santa Claus and his reindeer on their journey from the North Pole to every home in the entire world to deliver presents on Dec. 24, Christmas Eve. 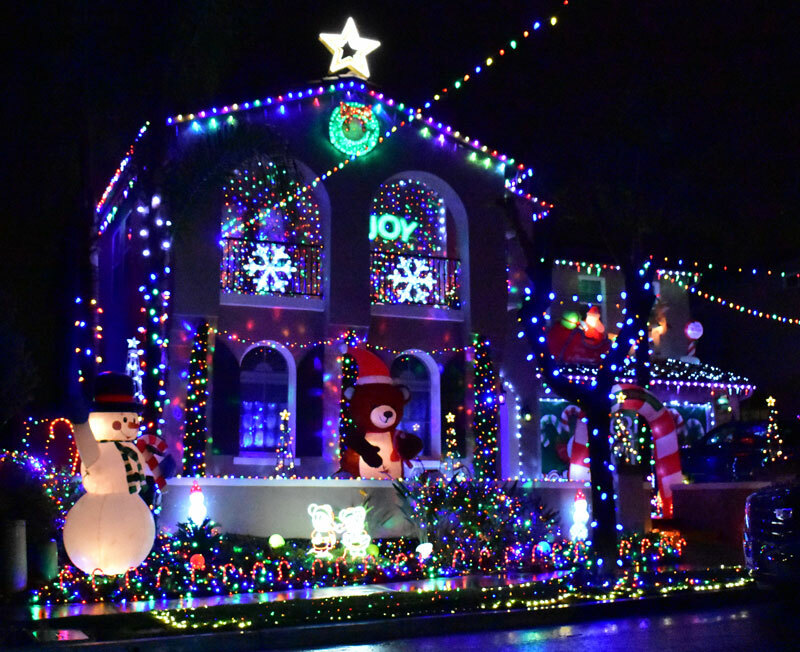 Santa will land his sleigh on each roof, drop into each home and leave Christmas presents overnight. NORAD, buried deep within a shelter in Cheyenne Mountain in Colorado Springs, is the only organization in the world with the tracking capability to keep an eye on Santa’s incredible trek throughout the world. 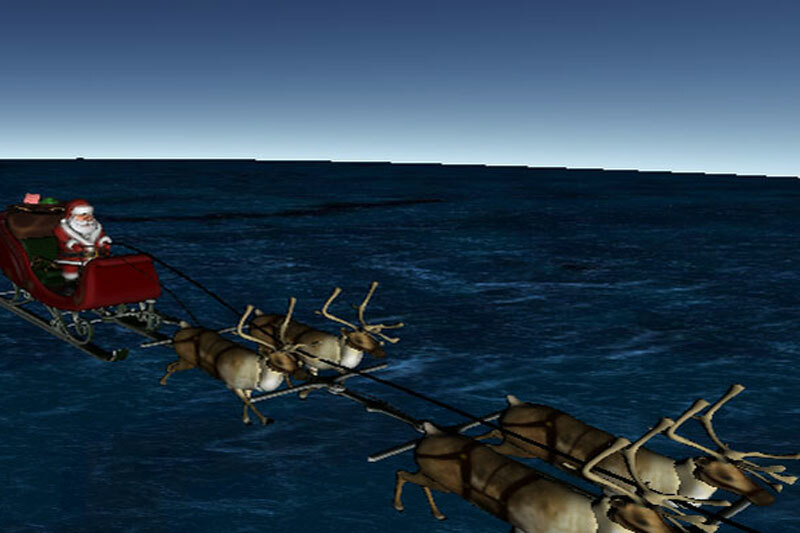 NORAD’s mission tracking Santa Claus on Christmas Eve is in its 63rd year. It started when a local Sears ad in a Colorado Springs newspaper had a big image of Santa and encouraged children to call a printed phone number to speak with Santa. Unfortunately, there was typo and the phone number was that of NORAD. That number led directly to the top secret red phone that was only used for global emergencies. More phone calls rang and, once the men at NORAD realized what was happening, they began answering the phone to let the callers know the progress of Santa’s sleigh. 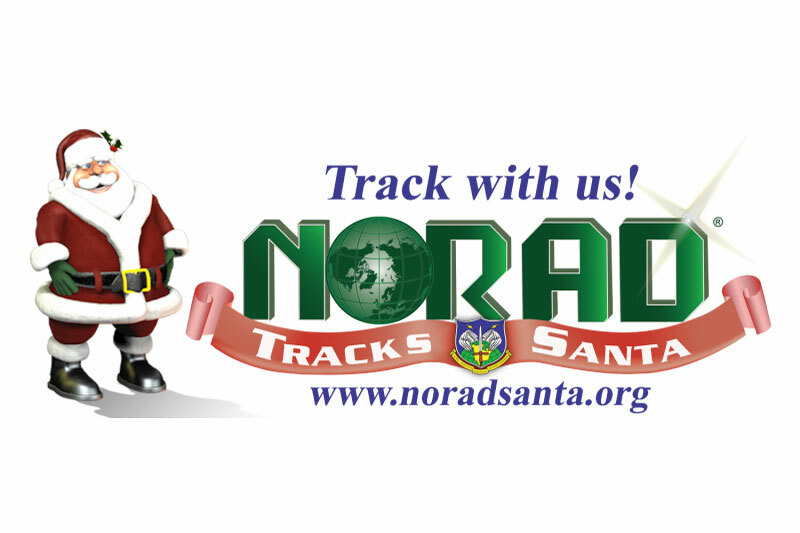 Children may call NORAD Tracks Santa Operations Center at 1 877-HI-NORAD (1 877-446-6723) or send an email: noradtrackssanta@outlook.com. Visit noradsanta.org. In January 2014, Rachel Barnhill’s father, a United States Marine, was getting ready for yet another year-long deployment. This time around, Rachel, her brother and her mother decided they would do something a little different to mark the days until his return. 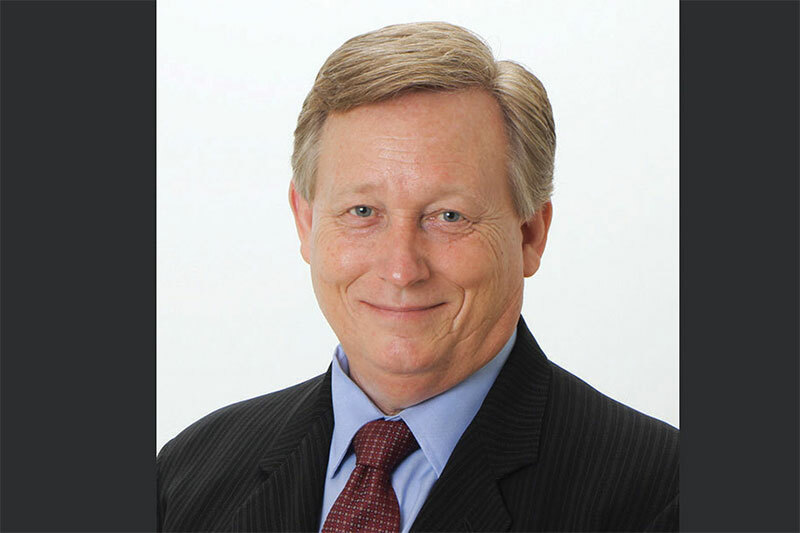 Colonel Bruce Barnhill, USMC-retired, has been a lifelong running enthusiast. Knowing that it was a passion of his, Col. Barnhill’s family decided that, in his honor, they would run every single day until he returned from deployment. “He was proud of us all,” said Rachel of her father’s reaction to his family’s commitment. Rachel’s mother, Patty, made it slightly more than 100 days before her run streak came to an end. Her brother, Reese, made it just past 200 days when illness confined him to his bed, unable to continue his daily runs. 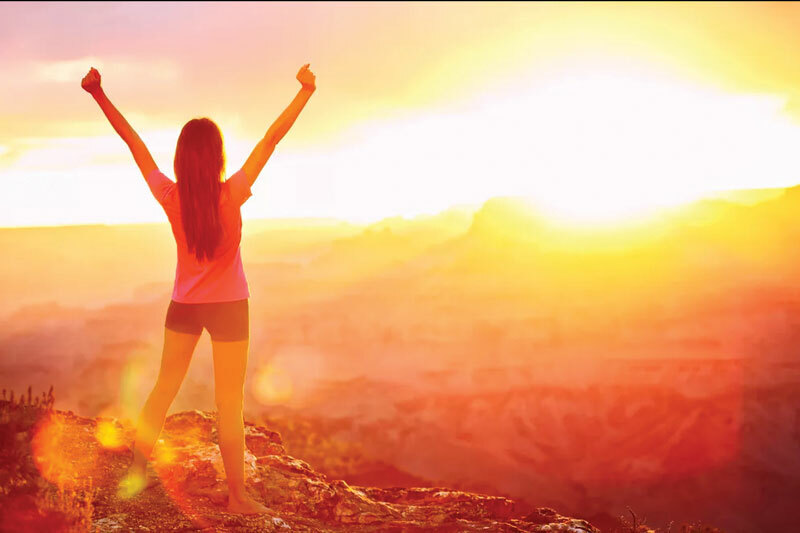 Rachel, however, just a seventh grader at the time, remained determined to keep running every single day until her father’s return. Upon Col. Barnhill’s return from deployment and with Rachel’s commitment fulfilled, she set a new goal for herself: to beat her father’s previous run streak record of 515 consecutive days. This time, “he was shocked that I was determined to keep going,” she said. But this daily habit had become a personal passion for Rachel. Plus, she said, it had become something she and her father could share as a bonding experience. 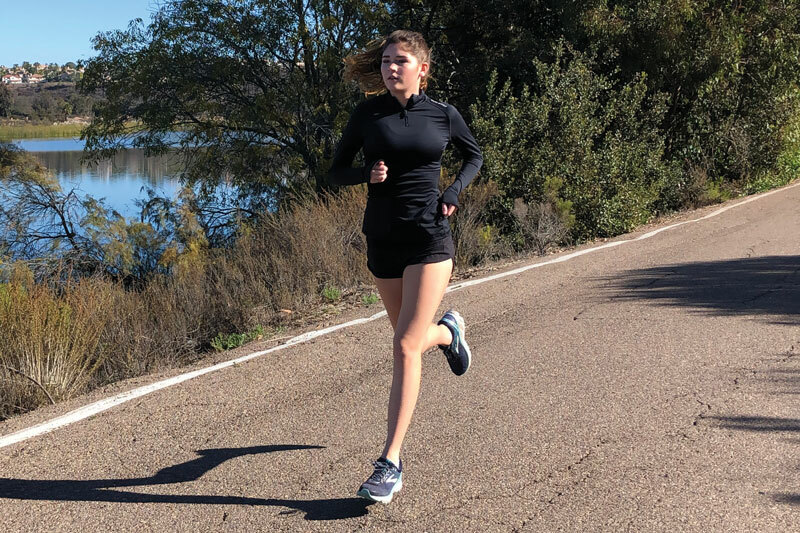 While Rachel, now a junior at Scripps Ranch High School (SRHS), admits that some family and friends who are familiar with her run streak think that she is “pretty crazy” for continuing to pursue her hobby, she is by no means alone in her pursuit. Both national and international organizations exist to celebrate streak runners. The United States Running Streak Association, Inc. (USRSA) was established in the year 2000, while Streak Runners International, Inc. (SRI) was founded in 2012. Both organizations allow streak runners to register their run streaks and join a national and global community of like-minded individuals, celebrating milestones and learning about one another’s personal missions. According to the SRI/USRSA web site, “The official definition of a running streak … is to run one mile (1.61 kilometers) within each calendar day.” Presently, the longest active run streak in the world, as registered with USRSA, is held by 68-year-old Jon Sutherland of West Hills, Calif. His run streak began on May 26, 1969, and he is approaching his 50th consecutive year of running. Rachel described the challenges that she has occasionally faced over the past years in maintaining her run streak. Rachel’s parents have remained supportive of her endeavor, but never insistent, always primarily concerned with her well-being. “There have certainly been times when she could have stopped due to sickness, but she pushed on through. It’s really amazing,” Col. Barnhill said. Her mother, Patty, said that her biggest concern about Rachel discontinuing her streak is the potential disappointment and sense of withdrawal she may experience once running is no longer a part of her daily routine. A member of the cross country and track teams at SRHS, Rachel says that running remains a passion for her and she intends to pursue it at least through the end of high school. 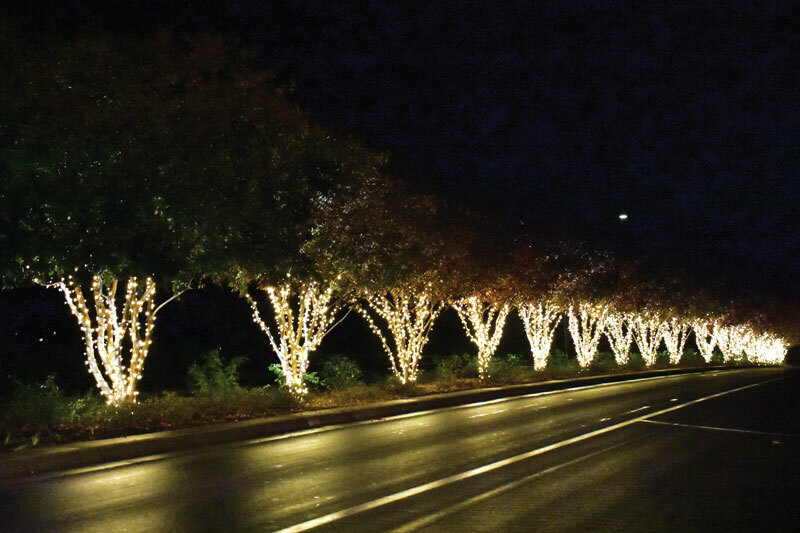 Stonebridge Parkway and Merritage Court: Aptly nicknamed Merry-tage Court, this street is brightly lit with hundreds of lights, Christmas inflatables and movie-themed decorations such as Disney and Star Wars. Farmingdale Street off Scripps Ranch Boulevard: Includes Swan Lake Drive, Stoney Way and other streets. If you’re looking for more classic Christmas decorations and lights, this is the area to go. Delicate, twinkling lights such as bright ornaments adorn this quiet area. 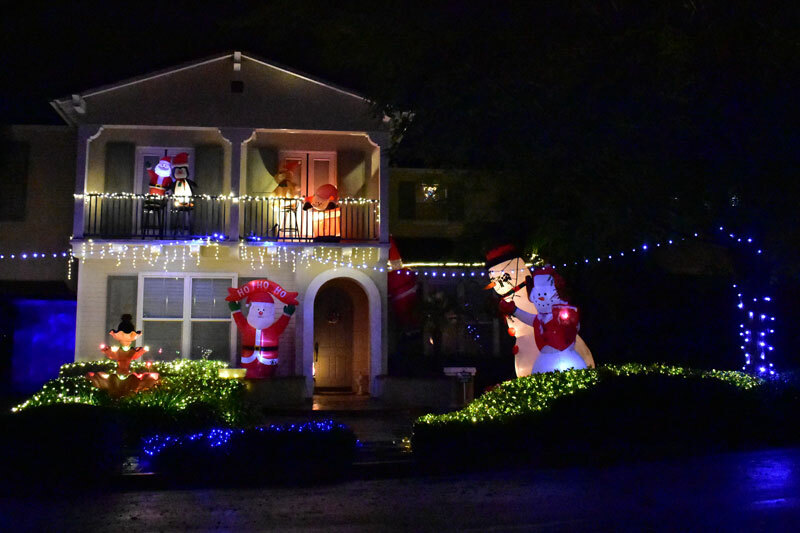 Hickory Court, Butterwood Court and Rockrose Court: Known as the Candy Cane Courts, this area is entirely lit up with dozens of candy canes, with holiday music playing, and there’s even a drop box to send letters to Santa Claus. Oviedo Street off Black Mountain Road: Famously known as Christmas Card Lane, Oviedo Street is like a storybook Christmas village come to life. 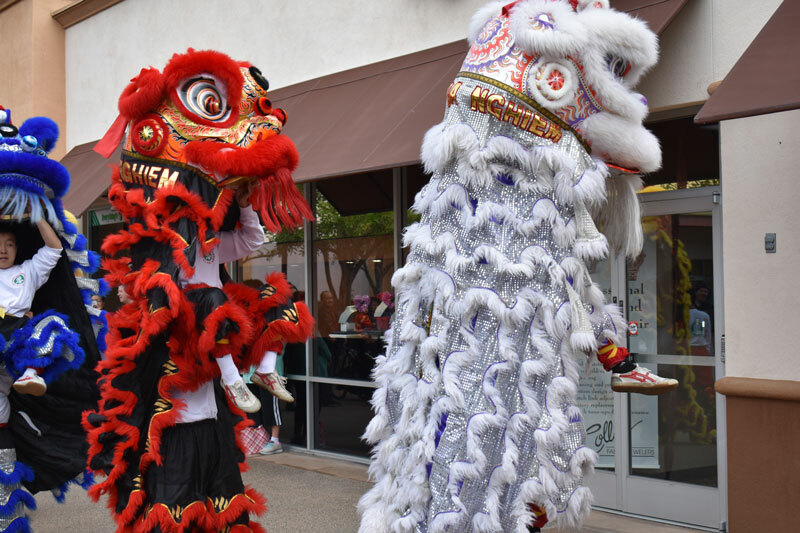 You’ll find animated installations, colorful displays and giant greeting cards.